PAT “Pasquale” BRUNO! I’m CALLING YOU OUT! DOES NOT HAVE CORNMEAL IN IT! Never did! 1) FLAVOR: Corn oil (along with other oils) is (or was) widely used in the dough recipe for some of the more popular Deep Dish pizza restaurants. (Lou Malnati’s/Pizzeria Uno). I’ve learned that some now use soybean or other oils. 2) COLOR: Gino’s East has an incredibly yellow colored crust; I’ve learned that this is actually created by a food-grade baking industry food coloring called Yolkoline (or possibly a combination of McCormick yellow dyes #5 & #6) aka Egg Shade. The reason why I’m calling out Pat Bruno is because it seems like he insists on perpetuating this myth on the Food Network by appearing as an “impartial” judge, when it’s quite clear that he’s trying to hawk his books on Pizza . I’ll concede this much – It is possible that after all these years Mr. Bruno does know the truth about the cornmeal and stubbornly continues to let this cornmeal myth grow to throw everyone off. I’ll excuse Bobby Flay for using cornmeal. He’s from New York; he doesn’t know any better. He does make it more confusing to everyone by including cornmeal in his dough recipe on foodnetwork.com, and leaving out any instructions on when to add or use it (update – it seems that they’ve since updated the recipe – after many comment postings – to add the cornmeal into the bowl when adding the flour). We all know why Marc Malnati won’t correct Bobby Flay. He’s trying to win a pizza throwdown (and talking a lot of smack while doing it) and he’s got a mail-order deep dish pizza business and a chain of restaurants that need to keep making money. Why would he tell everyone on TV how to exactly duplicate his pizza dough? 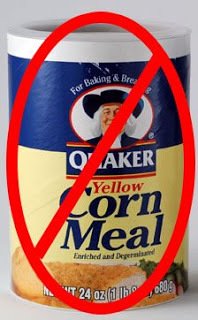 If Pat Bruno knows that cornmeal should not be in there, and goodness knows he’s been covering the subject long enough, why does he not dispel the myth on the show? IT TAKES YOU FIVE SECONDS TO CLEAR UP THIS MYTH FOR GOOD! DEEP DISH PIZZA DOES NOT HAVE CORN MEAL IN IT! Bobby Flay hopefully knows the truth now. He should demand a rematch, and skip the broccoli robb this time… Silly New Yorker. It’s not a true ingredient of traditional Chicago Style Deep Dish Pizza. Don’t believe me? Ask the guys over at the Pizzamaking.com – Chicago Style Pizza Forum. Also, there’s a definite possibility that thin crust pizza restaurants dusted their pizza peels with semolina (similar in texture to cornmeal) confusing modern bakers and forever linking pizza with cornmeal. It’s YOUR pizza; do what you want, but many people think cornmeal makes pizza dough taste gritty. Some like the extra corn flavor that cornmeal adds. Many use it in the bottom of their pizza pans to add an extra crunch on the bottom or to aid in deep pan removal. 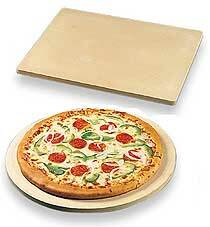 I use it sometimes on a pizza peel to help get a thin crust pizza to slide off of the paddle and onto the pizza stone. Apparently, using fennel seed in Italian sausage is also controversial for deep dish (though I often do when I make my own), but that’s another rant. Rant 4 - Deep Dish or Rant Hard! ‹ PIZZA RANT 2.5 – Chicago Style Deep Dish Pizza – SUCCESS! PI in St. Louis uses cornmeal crusts. I do not like it. Cornmeal is used on the peels to slide thin pizzas not in a pan into the ovens. Some corn meal particles will remain on the crust. This is common and where the rumor started and spiraled out of control. It is not used in DD pan Pizza itself normally! Now, I have heard of those using pans for deep dish, and thin add a small amount of cornmeal to the pan for either added flavor and crunch and to elevate it very slightly for cooking and removal. But, it is not necessary, and I do not believe the big players who use pans use it at all. Have you tried the Chicago Ricobenes deep dish…that crust HAS TO HAVE cornmeal in it! And I love it. I have a grain grinder and grind my own corn flour (not corn meal) and use 1/4 cup to 1/2 cup in my deep dish pizzas for color and taste. But my current favorite, Malnatis, contrary to reports, does not have corn meal, though the crust does have a coarsness and taste that would leave one to believe differently. Same with Ginos, I always figured corn flour or meal was their secret ingredient, evidently not. 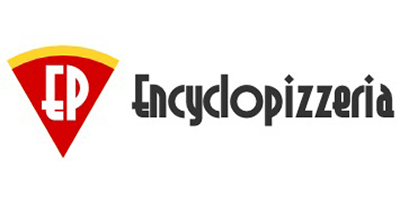 Thanks for the site, it is spectacular!!!! but if i can create a chicago pizza that rivals, or is better then the chain, does it really matter if it has cornmeal in it? i would think not. Just be aware that if you use cornmeal, you may not get the results you want. I have to wonder however, whence the yellow food coloring in Gino’s? you would not start out using fake color — rather, the use of coloring suggests a change in the recipe at some point that required a “cover-up”… Yellow suggests egg yolks were once included, common in a rich dough, now simulated with water and coloring, or melted margarine, which was dyed yellow to distinguish it from butter, now replaced by (non-hydrogenated)oil, or corn flour, a yellow flour as fine as wheat. As for the corn meal, a noticeably grainy product, does Gino’s use it in its Mexican pizza? “Egg Shade” has been used in bakeries for a long time. It’s very possible that it was in use in the 60’s at Gino’s. The “Why” is up to speculation, but some of my friends in the pizzamaking.com forum have guessed that they colored the deep dish dough to distinguish it from the thin crust dough. There is no corn meal in deep dish dough. If Gino’s had added it since they opened in the 60’s, that would be real news. You’d have to ask them if they use a special dough for their “Mexican” pizza. It could be that Mr. Pasquale Bruno was on the payroll for several of the major pizza joints to intentionally mask the true ingredients of deep dish pizza. I find it hard to believe that he didn’t know that cornmeal was NOT a true ingredient of deep dish pizza. I wonder why he major recipe sites don’t correct themselves. It’s as if there’s a cover up….lol! Seriously…. Uno’s pizza was invented by Ike Sewell and Ric Riccardo and was loosely based on a Riccardo family recipe. I have this info from my dad who was told this personally by Ike Sewell. The only thing Rudy Malnati invented was a good story. For many years, there were only 2 types of pizza served at Uno’s: Sausage, and Cheese. All the so called “original” recipes on the internet that include, pepperoni, mushrooms, bell peppers, etc. are bogus. I’m not that old, but I agree that Uno’s isn’t quite the same as it was when I was a kid in the 70’s. I think they likely changed the oil, not sure to what kind. We’re aware of the story variances and conspiracy theories and the huge number of fake recipes out there. Most of them are easy enough to spot – Just look for cornmeal and you’ll know it’s fake. Thanks for checking in. 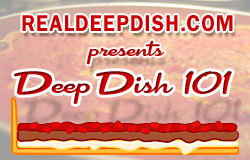 Please read Deep Dish 101. It’s just getting started!